The aim of 2 °C global temperature gaining limitation had been included in the Copenhagen Accord emerging from the Conference of Parties (COP15) meeting. The Ship Energy Efficiency Management Plan (SEEMP) and Energy Efficiency Design Index (EEDI) became mandatory and served as a guide for companies in low-carbon operation and management. However, the actual active application of low-carbon shipping (LCS) measures by stakeholders still undeniably plays a decisive role. Unfortunately, the way from SEEMP and EEDI adoption to LCS measures implementation of industrial stakeholders remain knowledge gaps. One of them is a manner by which LCS measure decisions can be made properly by considering multiple criteria. 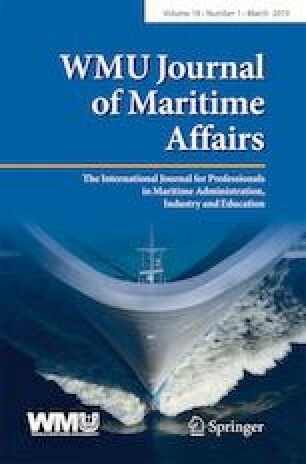 This paper, by analyzing primary internal and external factors affecting LCS decisions, introduced a decision-making framework for shipping companies in choosing the most appropriate LCS measures for individual ships to implement in diversified conditions. The framework has a generic structure thus researchers and policymakers, as well as each company can apply it flexibly and diversely.